Listening to music through your teeny tiny computer speaker? Why don’t you connect a bookshelf speaker to your laptop or PC and have the most out of your music? That’ll be cool, trust us. Maybe you’ve already got speakers for your PC. But are you aware that many people don’t know how to hook up bookshelf speakers to their PCs? It’s something neither overly complicated nor costly. Since we’ve been rocking this type setup for quite some time, we saw even the small speakers many people connected to their PC provide them with loads of enjoyment. You may use speakers of any size you like. However, if you want to know how to set up bookshelf speakers, read rest of the guide. What You Need to Set Up Bookshelf Speakers? Skip to the next paragraph if you’ve already owned a speaker. If you don’t have, buy one from Amazon or any online retailer. But we suggest browsing through your local Craigslist or checking out used electronics stores. You may get orphaned bookshelf speakers because that’ll be very cheap for you. Test the speakers to see if they work well and make sure they have 4-8 Ohm range. To upgrade your computer’s audio, get your hands on an amplifier or you may use an audio receiver, but that’ll be much costly. You can’t plug the speakers directly into your computer because audio cards supply very small amount of electricity, so you get an amplifier. Check the amplifier doesn’t have high noise floor while buying, it’ll really irritating. This happens with the cheap ones; hence you try to select a bit expensive amplifier. You needn’t buy speaker wire if cables are attached to the speakers you got. 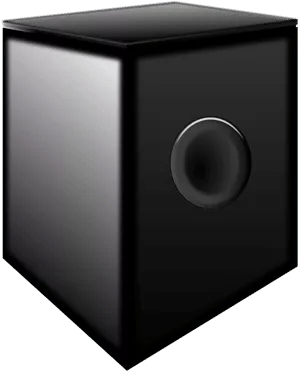 But if the wire is too short or the speakers have the red and black connectors only, you need to purchase speaker wire separately; 14-gauge speaker wire is sufficient. Get 3.5mm male to male cable if your amplifier uses 3.5mm jack for signal input or 3.5mm to AUX cable to connect your computer to amplifier. The power supply is to be 12-24v power adapter. We suggest that you use a switching power supply which will help improve noise floor leaving a faint white noise in the background. Arranging the speakers depends on the size of the desk you use. Bookshelf speakers need more space as they’re bigger. If the sides of your table have enough space, you may screw a cool looking speaker stands 30-40 cm high into the table corners. If you can’t set up stands of your own, visit Ikea. There you’ll find plenty of furniture stands and bookshelves suitable for DIY speaker stands at a low price. You need to know how to connect speaker wires from the receiver to your speaker. On the back of both receiver and speaker, you’ll find one positive and one negative terminal or connector. You’ve to make sure the positive cable of the receiver is connected to the positive terminal on the speaker. Repeat it in the negative connections from receiver to speaker. When you’re hooking your speakers up to a receiver, it requires to examine two factors- nominal impedance and sensitivity rating. Nominal impedance is speaker’s resistance to current. You can connect speakers with a less powerful amplifier with an 8-ohm load which is very common, but more power is required for 4-ohm / 6-ohm speakers. By sensitivity rating, efficiency is measured. It’s the amount of the sound a speaker produces with a reference tone of 1W or 2.83V input. Less power is required to produce sound with speakers of higher sensitivity ratings. You can have fine sound by pairing these speakers with any receiver. But you need a more powerful amplifier to make speakers with low sensitivity ratings sound well. Speaker with a 4-ohm load and an 85dB sensitivity rating requires a high-powered amplifier to generate optimum sound quality. To get the speaker to sound good, you can hook a speaker with an 8-ohm load and a 98-dB sensitivity rating up to just about any amplifier or receiver. Frequencies are divided to separate drivers on the speaker by bi-wiring; thereby you’ll get a balanced sound. You can bi-wire or bi-amp your speaker if it has two sets of binding posts on the back of it. Two sets are to be connected by copper or gold plate; so, to bi-wire the speaker, take off that plate connecting both sets of binding inputs. Connect both sets of inputs to the positive and the negative terminals of the amplifier with speaker wire. Don’t hook the positive terminal of the amplifier up to the negative terminal of the speaker and vice-versa. Though it won’t damage the speaker or amplifier; but it’ll severely impact the sound quality. When two live speaker wires with opposite charges touch each other, both the speaker and amplifier can be damaged. That’s why you make sure the connection to each terminal is secure as you’re connecting speakers to an amplifier with a bare speaker wire. Don’t think your speakers are broken if they don’t sound right upon connecting first. Check the wiring and make sure all terminals are connected correctly. Don’t connect your speakers with an 85dB sensitivity rating and a 4-ohm load to a low-powered amplifier, because if you do so, it’ll possibly ruin your receiver. Avoid using the underpowered receiver to bi-wire your speakers. You can’t have true bi-wiring if you attempt to bi-wire the speaker without removing the copper plate. The same frequencies will be passed to each individual speaker. If you have a wall just behind your table, don’t place your speaker too close to the wall. If using two speakers, make sure the speakers are both the same distance. Put the speaker at least one or two feet from the wall. You’ll have a problem with any kind of speaker if you put it on the table either from vibrations or from anything else. So, it’s better to raise them on stands or use some sort of insulation to dampen vibrations. Make sure the speakers are 4-6 feet far apart and equidistant from your head. To get the best sound, find the correct angle for your speakers. Point the speakers toward your ears. A practical way is that you should not see the sides of the speakers as you turn your head to look at them. If the tweeters aren’t at the height of your ears, most of the high-frequency sounds will be missed out. So, place the speaker in the right position in order that the tweeters point to the height of your ears. As you read the article, we hope you’ll be able to safely and correctly set up your bookshelf speakers. You’ll be hearing sweet high-quality sound coming out of your speaker if you follow accurately what we said so far. Let us know if you face any difficulties. We will be always here to help you set up your bookshelf speakers.